We've been mainly bumming around this weekend. Jonathan has been traveling quite a bit recently and been sneaking in naps, in between all the errands, and long to do list. He decided on mowing the lawn on Sunday but not before he checked the weather forecast. It's been two weeks since he mowed the lawn last and it's already looking like brush in the jungle. Images of Sherpas and machetes crossing my mind, and yes, the mosquitos and a plague of cicadas are soon to arrive. For the time being the gnats are being a major pest but honestly we've been enjoying a really pleasant spring-like weather, so no complaints. While Jonathan stepped out to bring his car to the garage, around the corner, for inspection, I decided to cook everything Ottolenghi. I love his column in The Guardian. I haven't seen identical recipes in either Plenty or Jerusalem. I find the dishes to be restaurant worthy. Sophistication of taking something familiar and giving it a twist that only he can do with such brilliance. As much as we like to dine out, we love even more dining in, so I decided on making these dishes at home, and have a weekend long Ottolenghi marathon. Besides, we do not live in London. The original recipe is with asparagus. I changed it a tad. I didn't have horseradish, so I added to the avocado dressing a small slice of jalapeño. I also blanched the broccolini for 3-4 minutes, instead of 1 minute as the recipe says, and drained quickly under cold water. I didn't char or grill them after. I added all the dressing ingredients into a food processor including two pinches of cumin seeds, maybe 1/4 teaspoon total, if that. I didn't wish for the cumin to overwhelm the dish. I didn't add any cream. Come to think of it, I forgot to garnish with parsley but the dish was still mighty delicious! I should add, that not in a million years would I ever consider to make avocado dressing, sauce or a smoothie, for fear of oxidization, until I came across this recipe. It is indeed an avocado mayonnaise-like and maintains a fair pale-ish green color. 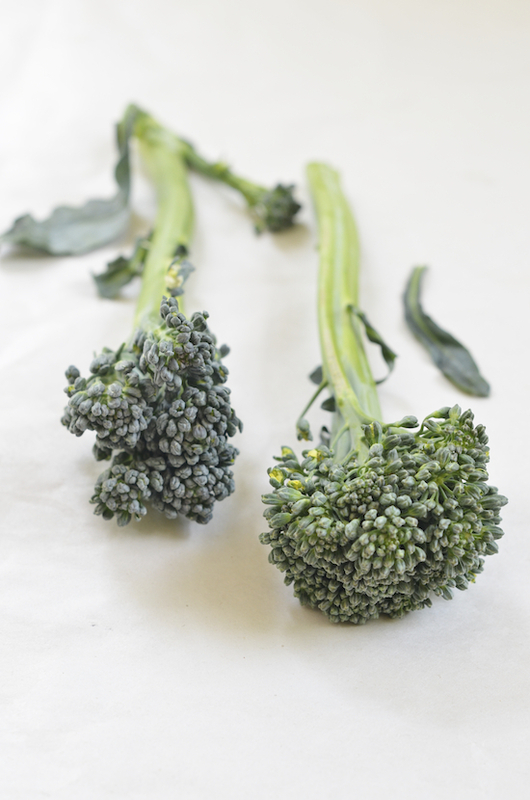 A delicious way of preparing broccolini. Spring in a plate! Terra, do you want to head over and help out now that yours is in order?! :) Thx my friend! אני אוהבת אבוקדו בכל צורה, ובטח שאם אבוקדו (מכינה סלט עם אבוקדו ברוקולי וזיתים שחורים), כך שאני בטוחה שאני אוהב את הרוטב הזה. גם אני אבל אף פעם לא כרוטב הסלט שלך נשמע מעולה וויני! Sounds so good. 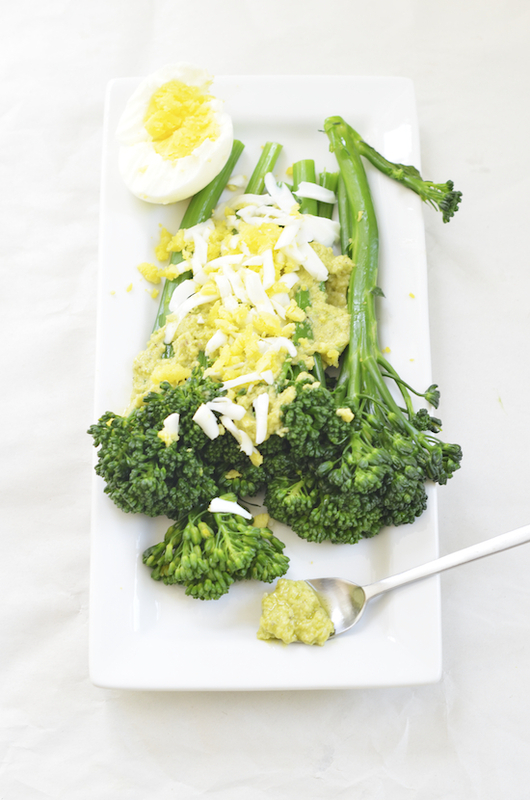 I'm always looking to try new vegetables, and this will be a great way to try broccolini. Thanks for sharing. My pleasure Ida. Let me know when you try it. This simple perfection, Shulie. I love the substation of broccolini for asparagus and the hard boiled egg in lieu of the usual soft. I hope your lawn is mowed soon! Same thing happened here last year and a few flies got inside the house! Summer and lawn mowing can get a bit annoying. But the good weather makes up for it I think. I have such a deep interest in all recipes from YO. This one is no exception, though I do use avocado dressing for cold pasta salads. Love the pinch of cumin Shulie! And I´m heading over to his column, didn´t know about it. I know, right, YO is fantastic! Happy you found about the column through here, Paula. BTW you avocado dressing on cold pasta sounds awesome! Broccolini is one of my favorite vegetables. I don't see many recipes for it and I was so glad you posted this one. 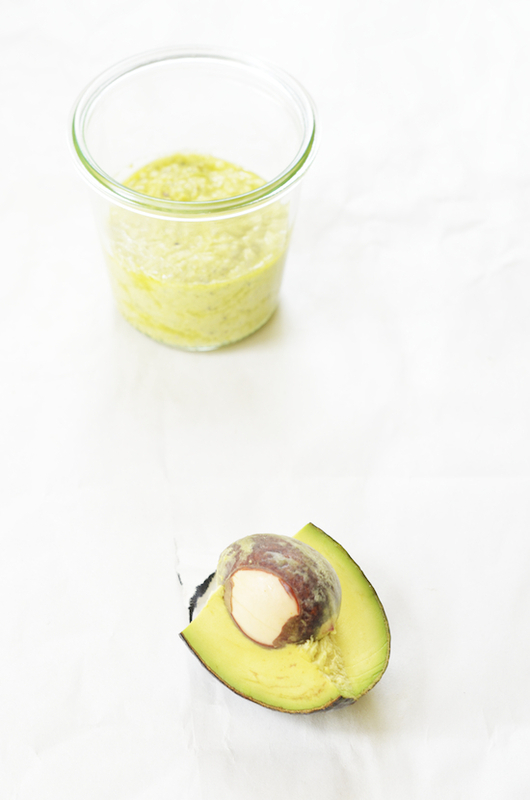 Great avocado dressing to go on it. TY Renee. Only this year, in fact, only in the last recent purchases or broccolini I came across, tender sweet ones, which encouraged me to post. In the past they always had a bitter edge. I love broccolini, what a fresh salad for spring! Adding a side note here: I dipped the cold leftover broccolini today, a day later, in the avocado dressing. I was literally eating the leftover avocado dressing by the spoonful. So yummy! We had broccolini served in our wedding... The moment we seee it... remind us of our wedding.. So weird... These look delicious! This sounds so good. I haven't tried avocado dressing for the same reason. I always learn something from you.